Dwellers Without Decorators: A slice of my silly thought process. unless anyone wants to stop me because it's so over - can't help still love. I searching for the perfect end tables for my bedroom I realize that the only one that makes sense is the one that Venessa from Turquoise has in her bedroom. 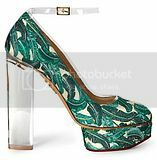 Does ANYONE out there know where I can find it - I am desperate. 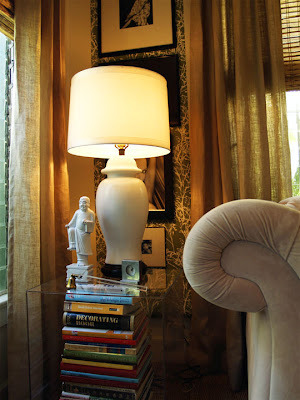 I love the Lucite clear end table that feels invisible but that you can stack a ton of books inside and make it look sculptural. 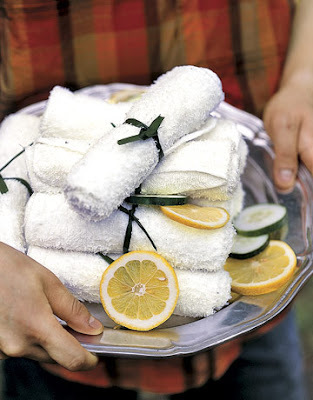 And Why Have I not yet bought That Fiddle Leaf fig tree that would just make my apartment And Oh did I mention that fabulous restaurant that I went to that had 100 fresh wash clothes in the bathroom for drying your hands in a perfect little tray. OY! So Have to boogie because I am on GMA this morning talking about cheap dresses. Segment at 8:45 and my makeup guy is kicking me off the computer. Just a slice of Life. I love your list, it sounds like mine. I think we will always find something that we want to update and change up in our home. Can I just say how very much I love this blog? My house is already done, but when I read about all these things, I'm thinking I want to toss it all and start over again. Maybe some day I will! Till then, it's so mind expanding just to see what you come up with next. 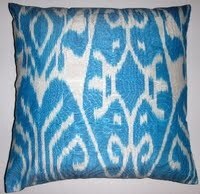 I love the Ikat pillows. I just picked up a couple yards of a similar fabric (on sale, yest! )to whip up some pillows for my living room. Thank you Edyta: Perfect suggestions and your blog is great - putting it on my blog roll and Karen - I really want to see your home Please photograph! You blog has so many good ideas - putting it up as well. And of course Ina - aka Mom LOVE you! Shoot, I missed the GMA segment! 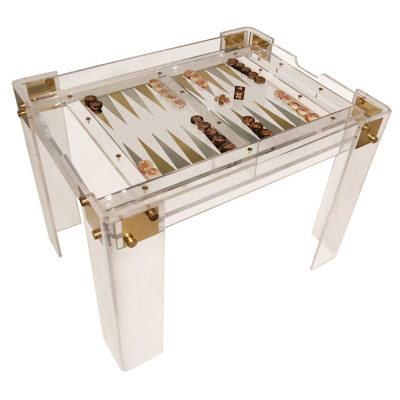 That lucite game table is unreal...love! I bought three nesting tables from cb2 in lucite, the two smaller ones hold my printer under my desk and the largest one is an end table just like in the image above...with books under it and all! Love that cb2!